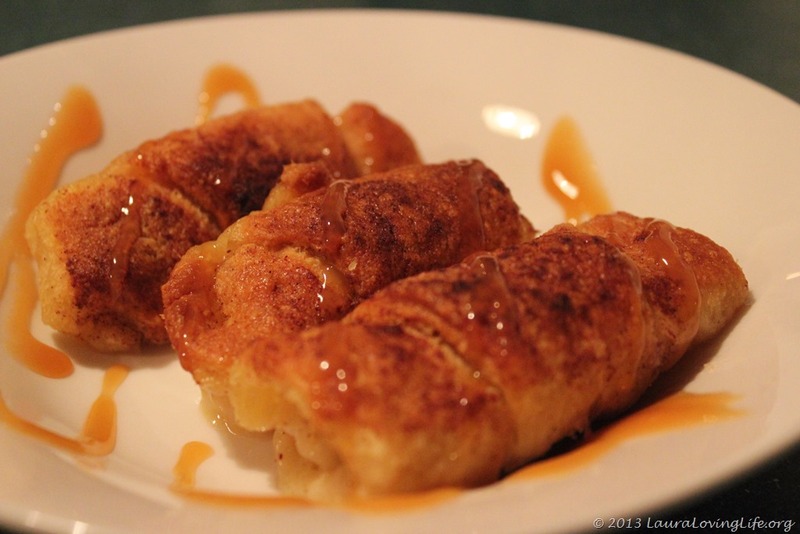 A strudel is a type of sweet or savory layered pastry with a filling inside, so you can say this is based “loosely”on an Apple strudel. This is actually from a pinned recipe that I thought I would try. 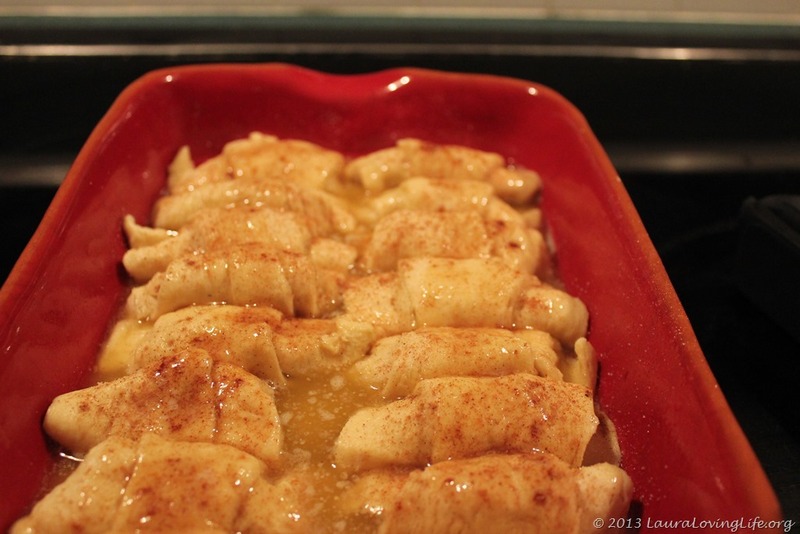 The Pinner called it apple dumplings and it is pinned on my pinterest (lauralovinglife) under cooking. Funny thing, I went to the recipe and almost died of a diabetic coma right then and there. The ingredients called for so much sugar, 1 and 1/2 cups to be exact, not to mention 2 entire sticks of butter. I realized that I had everything to make this but would have to improvise and change the amounts some to suite my family. 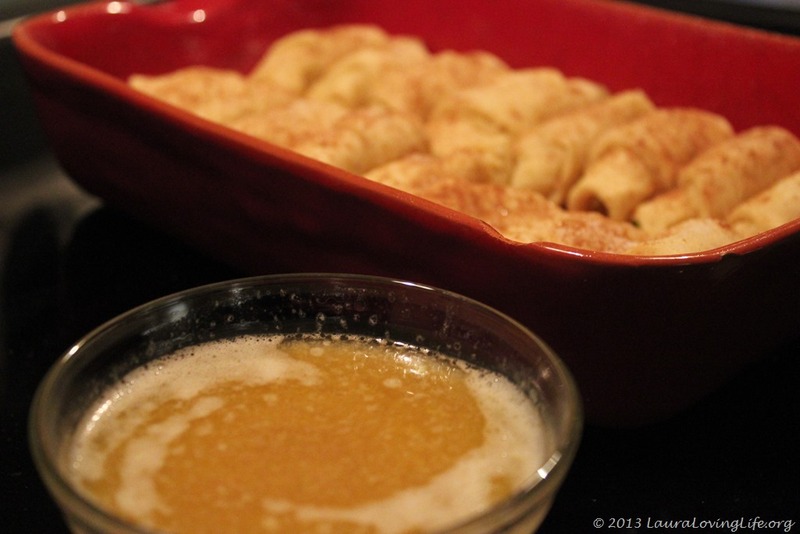 So by changing the recipe, I could not call this a dumpling as the original recipe said. 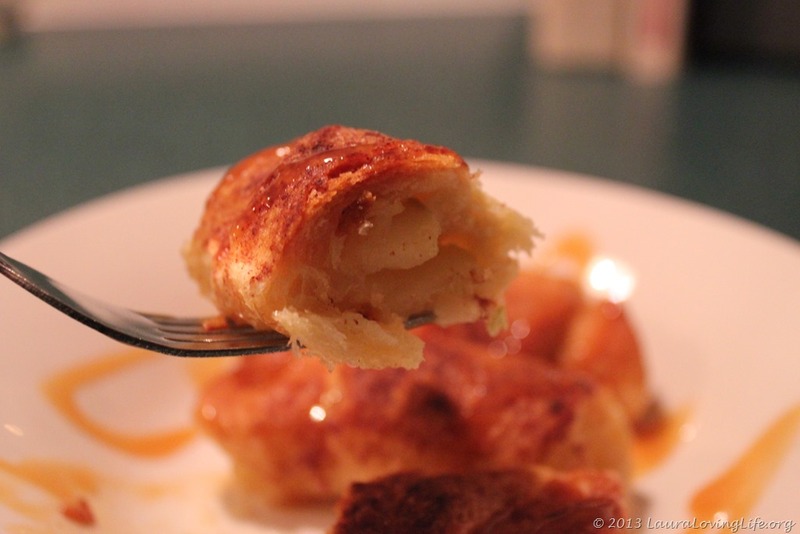 When we had this it was so much more than a gooey dumpling, it was crispy and moist on the inside. 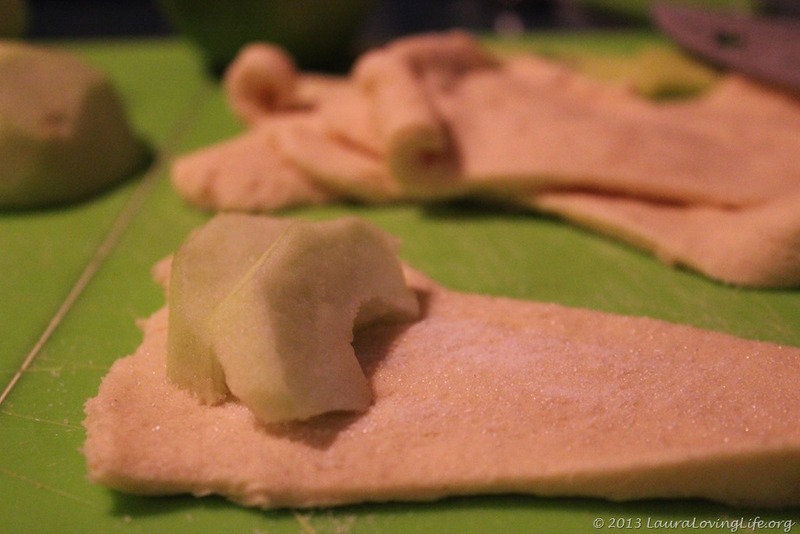 The apple melted and the sugar, butter and small amount of Mt dew I used were cooked into the crescent roll beautifully. I will admit (with head hung low) that I had two servings, along with everyone else and there were (sad to say) no leftovers of this one! I served this with a caramel drizzle, but had I had some vanilla ice cream I would have preferred that. 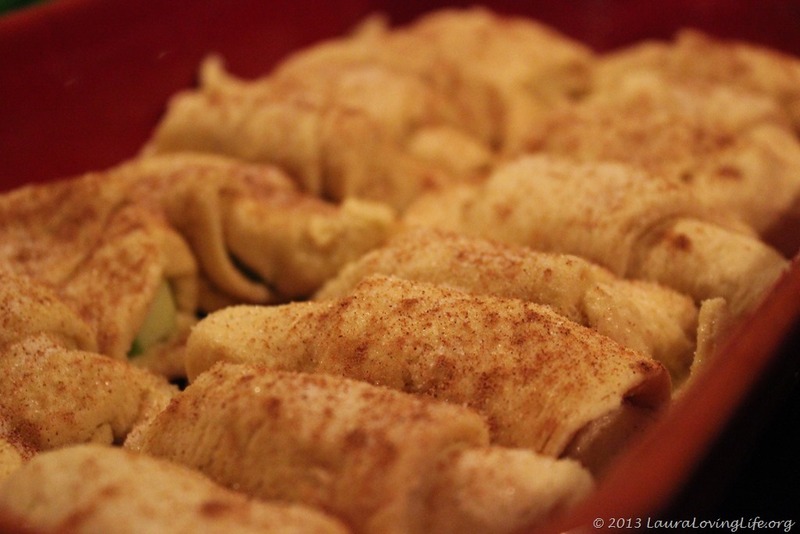 Use a small baking dish, something the rolls will fit into snugly once they are all rolled up. 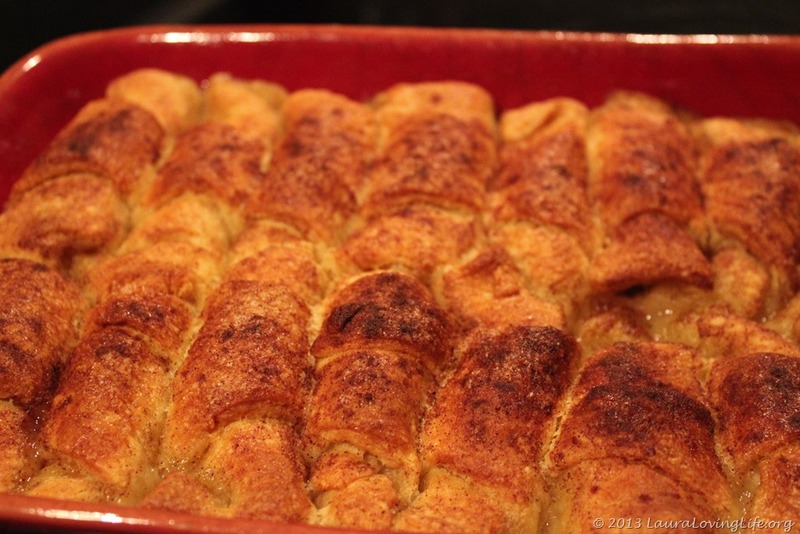 Roll out one of the crescent rolls sprinkle with sugar and roll an apple slice or two into it, place into the baking dish. 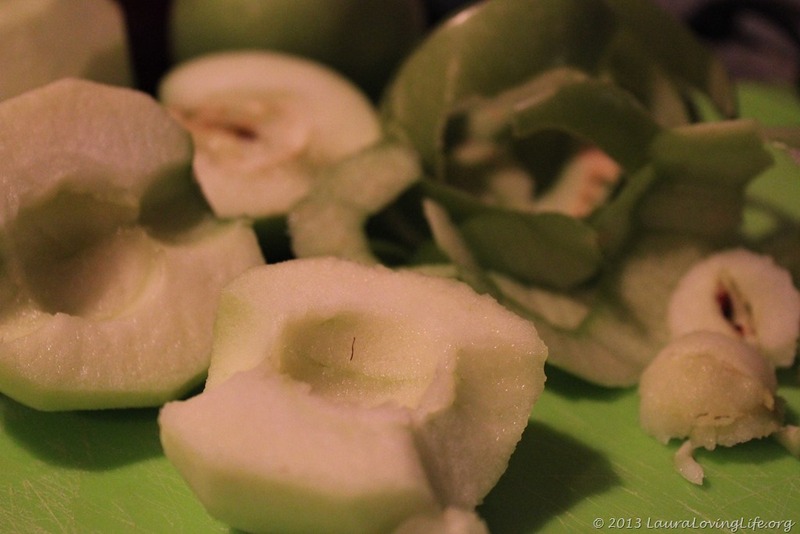 Once they are all rolled and in the pan shake some apple pie spice onto them and sprinkle liberally with the rest of the sugar. Melt the stick of butter and mix in the vanilla and pour over the rolls. 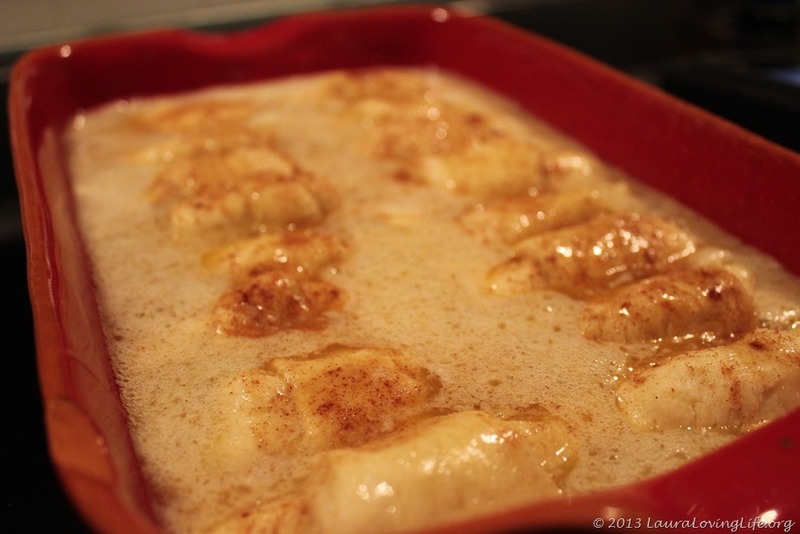 Remove from the oven when done and serve piping hot, preferable with ice cream, but in a pinch caramel worked well. I think they would be fine on there own as well. 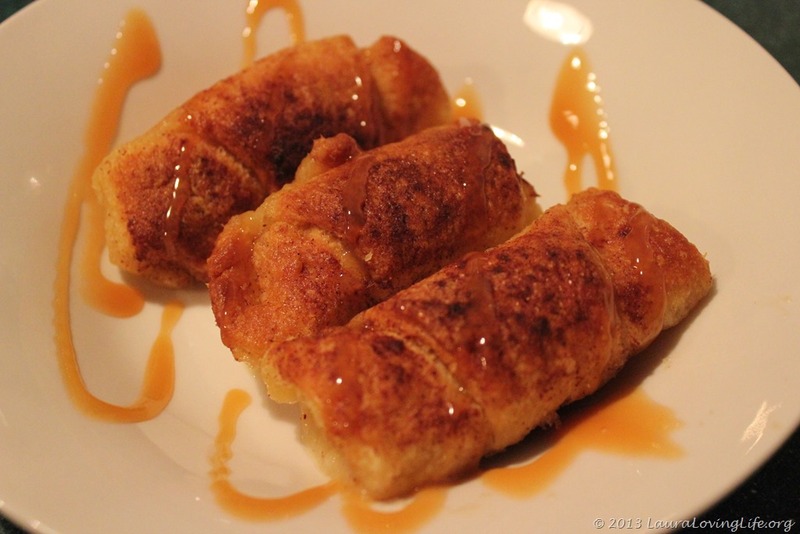 We truly enjoyed the dessert, I know it was from a pin and I will say it was a keeper, but I changed the ingredients so much I am not sure I can say if it is a win or pin fail! Thank you, not a traditional way but fun and easy.